What's The Most Absurd Thing To Come Out Of 1990s Superhero Comics? The 1990s were a special time in comics. Fueled by an out-of-control speculator boom and a craze for "dark," angsty storytelling, superheroes went EXTREME even as their feet shrank to nothing. But what was the single most absurd character, trend or storyline to come out of 1990s comics? Please include a cover, comics panel, video or other image for your chosen 1990s comics trend. And please mention the name of the comics, character or trend, and why it was so ridonkulous. Thanks! 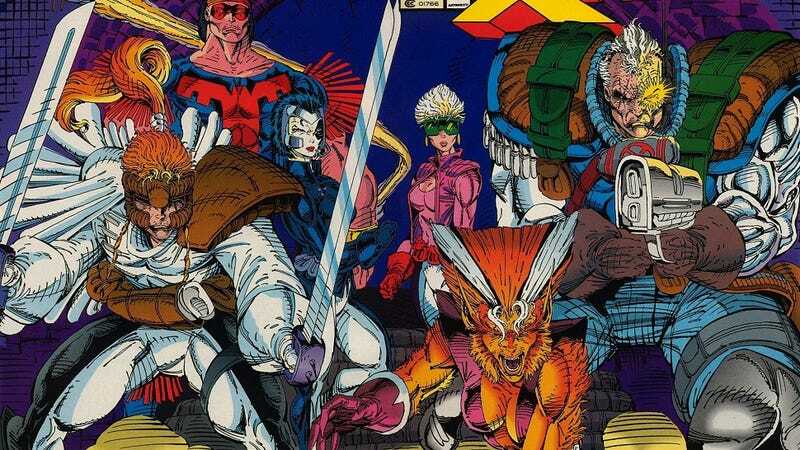 Top image: The artwork of Rob Liefeld, including some of the wackiest X-Force characters.